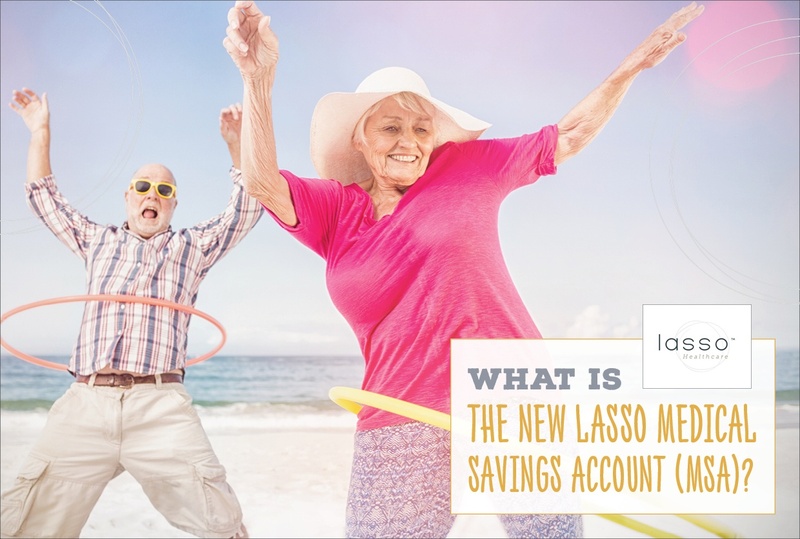 What Is the New Lasso Medical Savings Account (MSA)? Home Blog What Is the New Lasso Medical Savings Account (MSA)? The largest MSA on the market right now is from Lasso Healthcare, and the plan will become effective on January 1, 2019. There’s a reason for that, and we want to explore it with you. As an agent, you also want to know all of the plan details to be prepared, so we’ve split this article up into sections. An MSA is an acronym for Medical Savings Account. MSAs are considered to be a Medicare Advantage product. In our opinion, the MSA is one of the most consumer-friendly products available in the whole Medicare Advantage space. The Lasso Healthcare MSA plan is a $0 premium, high-deductible healthcare product underwritten by Lasso. Just like other Medicare Advantage products, the client will still be responsible for the monthly Medicare Part B premium. There are over 1100 counties in 17 states that will have access to Lasso products, and more than 50% of those 1100 counties have the lowest deductible available ($6,700). The contribution, or the deposit made into the medical savings account, is $2,520. That money comes from the government, is paid to Lasso, and is then deposited in the policyholder’s account. The deposit can be utilized as first-dollar coverage to fulfill the deductible. In sum, an MSA is a high-deductible healthcare product backed up with a medical savings account utilized at a custodial bank. What Does the Custodial Bank, Optum Bank, Do? Optum Bank is the market leader in HSAs, currently servicing over 3 million accounts and $9 billion in assets under management. Medical Savings Accounts (MSAs) are similar to Health Savings Accounts (HSAs) that are available outside of Medicare, which makes Optum Bank a fantastic partner for the Lasso product. With Optum Bank, there are no fees to keep your money inside the MSA. This means you and your beneficiaries will get a monthly statement, and there will never be a negative number due to fees. Optum Bank also provides all the tax forms the beneficiary will need to file at the end of the year regarding any withdrawals from the MSA. Optum Bank is able to put the funds within the MSA into some interest-bearing accounts. In other words, you can earn higher interest rates than the typical savings account. This helps augment the MSA, which can offset future claims costs. There must be a minimum of $2,000 inside the account in order to have access to the interest-accruing options. The money deposited and any interest earned is NOT taxed as long as you apply the monies toward any QMEs, whether they’re Medicare-covered or not. Don’t worry – all of this will be set up at the time of enrollment. What’s Covered by the MSA? All Medicare A/B covered expenses will count toward the MSA deductible, and they are not taxed by the IRS. Basically, if Medicare covers an item or service, that will count toward the deductible – or eventually paid for – by the MSA. For IRS Qualified Medical Expenses (QMEs) that are not covered by Medicare – like Part D prescription drugs, chiropractic services, long-term care, and hearing aids – they won’t count toward the MSA deductible, but they’re still tax-free. You can see a full list of the services and products that count as QMEs in the IRS Publication #502 for the applicable tax year. If the MSA deposit is used for non-qualified expenses, then it does not count toward the deductible, and it’s subject to IRS taxes and penalties. So, if you use that deposit for things like food, clothing, or house payments, those funds will be taxed as part of your income. The MSA claims process works just like other Medicare Advantage plans. The client will visit the doctor, and the provider will then bill that visit to Lasso Healthcare. Please note that there are NO copays required under the Lasso Healthcare MSA. The bill will then be adjusted to match Medicare-approved rates, and Lasso will check the client’s progress towards their deductible. If the client has not met their deductible yet, they will be sent a bill. If they have, Lasso will pay. Then, the client will be sent their Explanation of Benefits (EOB), showing how the claim was re-priced, progress made toward the deductible, and if Lasso paid that claim or if the client needs to pay it. If the client is responsible, they can pay for that bill out of their own pocket or with their MSA funds. With the Lasso MSA, there are no provider networks. Your client can go to any Medicare-participating provider. In this way, the MSA is similar to a Medicare Supplement. This is an excellent fit for snowbirds who like to travel frequently and have a hard time staying within a strict network. The way the MSA deposit works is very simple, but you may get some questions from clients about how those funds roll-over, what happens at tax time, and what happens in the event of death. How Do the Deposited Funds Work? As you know, Lasso deposits $2,520 into the MSA at the beginning of the year. However, what happens if the client doesn’t use all of those funds? If you keep your Lasso Healthcare MSA, the funds will stay in your account for the next year. If you choose not to renew your MSA, those funds are still yours to keep. They are subject to the same IRS rules as when you were a part of the MSA plan. Once your client is officially signed up for the plan, they’ll receive a welcome packet, a debit card that’s linked to their MSA bank account, and a health plan membership ID card. Let your client know that these three items might be shipped separately. Earn a $50 gift card by completing a health survey. Earn a $75 gift card by sharing their lab results. Earn a $100 gift card by seeing their provider. These are all a part of the For Your Health incentive program. Directions on how to complete all of these tasks are included in the welcome packet, which will be mailed to your client when they sign up for the plan. If your client uses any of the funds from the MSA account, they will need to file an IRS Form 8853 and 1040 at tax time. They’ll receive a Form 1099-SA from Optum Bank reporting the account distributions by January 31. That form will report all distributions and expenditures from the account. Optum Bank will also report that information to the IRS. If you die, whatever is left in your MSA will go to your beneficiary. If that happens to be your spouse, there is no tax penalty. If not, ordinary income would apply subject to IRS rules. Custodial fees would be charged by Optum Bank, but the account could also be moved to a custodial account that the beneficiary chooses. This MSA will be the greatest fit for individuals who are healthy and that are financially able to handle the difference between the deposit and the deductible. Another point to consider is that the Lasso MSA does not have any underwriting requirements. So, if you have clients that have a quirky condition and can’t switch Medicare Supplements, this can be a fantastic solution. For example, a client might be healthy except for osteoporosis, which is really no big deal, but they had a stress fracture in the past year. There can be nothing else wrong with that client, but they’re uninsurable. This gives that client a wonderful option. Finally, there are many larger employers that offer a yearly stipend as a contribution towards post-65 healthcare. I confirmed with Jim Handlan, the President of Lasso Healthcare, that as long as the employer reimbursement is not specifically designed to offset the deductible, the client can have the MSA in parallel with their reimbursements. If you want to see what this kind of presentation would look like, Luke Hockaday shared his own experience selling the Lasso MSA to an individual who gets employer reimbursements. As long as the client is allowed to use that money however they want to use it, it’s allowed. 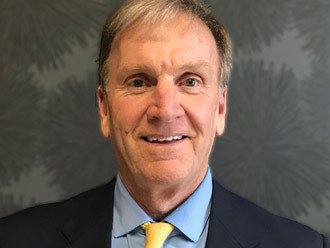 As the agent, please request the employer’s plan document and send that to me (Steve Spinner) to verify the details and confirm that your client can indeed get this MSA. Beyond these notes, there are some basic eligibility requirements we need to be aware of. You can first sign up for the Lasso MSA during the Annual Election Period (AEP) or an Initial Coverage Election Period (ICEP). Except for rare cases, the only time you can disenroll is during AEP. Clients can not disenroll doing the OEP. It’s important to understand the timing of things here because the deposit and deductible are affected. How Is the MSA Deposit and Deductible Affected By Enrollment and Disenrollment? The yearly deposit is put into the MSA at the beginning of the year. If you enroll in the middle of the year, the funds are deposited the first month your coverage begins. If you do end up enrolling in the middle of the year, the deposit and deductible are pro-rated. The monthly-prorated amount is going be to $210 multiplied by the number of months you’ll be covered for that year. This is adjusted to reflect 9 months of coverage instead of 12. If you enroll during AEP, you’re allowed to cancel by December 15. The only times to disenroll are during AEP or during an SEP. If you leave the MSA before the year is over, you are required to pay part of the most recent yearly deposit back. That amount is also pro-rated at $210 per month. For example, if you leave the plan in May, you will need to repay a pro-rated deposit amount of $1,470. This also applies in the event of death; the pro-rated deposit amount will have to be paid back, by your estate, to Lasso. What’s In the Lasso MSA Enrollment Kit? Just so you’re aware, the Scope of Appointment (SOA) form is the agent’s responsibility. You must keep the signed SOA for 10 years, per CMS requirements, and be able to produce it upon request by Lasso Healthcare. You can easily download enrollment kits from the Lasso website on the document page. Paper applications should be faxed to 888‐638‐6943 as soon as possible, but never later than 48 hours from completion. Agents can also guide the client to complete the online enrollment form using his or her writing number. Just have the client go to the Enroll section. Include the Cover Sheet, Scope of Appointment, Enrollment form and Optum Bank MSA request form. How Do I Track Submitted Apps? If you’re contracted with us here at New Horizons, you can call us for updates. Lasso provides us with daily updates to enrollment statuses. You can also contact Lasso Agent Support directly at 800-918-3859. Once your client’s coverage begins, you’ll be paid your commission before the end of that month. You can also ask us for your commission statements if needed. Do I get full comp if my client joins mid-year? Commissions are only pro-rated when required by the Medicare Communication and Marketing Guidelines (MCMG). Under current MCMG guidelines, it depends on the reason the client is joining. If they’re joining the Lasso MSA for the first time using the ICEP, you’d get full comp (12 months) with no proration. However, if they’ve had the Lasso MSA before and they’re re-joining, the comp would be pro-rated for only the months the member is enrolled in the plan. Do You Need to Complete the AHIP? Yes – in order to sell the 2019 Lasso Healthcare MSA, you’ll need to complete the 2019 AHIP. How Do You Get Appointed With Lasso? When you’re ready to get contracted, or if you have any additional questions or concerns, please get in touch with us here at New Horizons. After that, you’ll receive an email with the training you’ll need to complete as well as the Lasso Healthcare certification test. Face-to-face training is not required. After you pass the cert, you’ll receive a welcome letter with your writing number. You’ll also receive an initial supply of 5 enrollment kits and presentation materials. Is the Lasso MSA Better Than a High-Deductible Plan F?